President Muhammadu Buhari has arrived in Lagos, for the continuation of his re-election campaign in the February 16, Presidential Election. 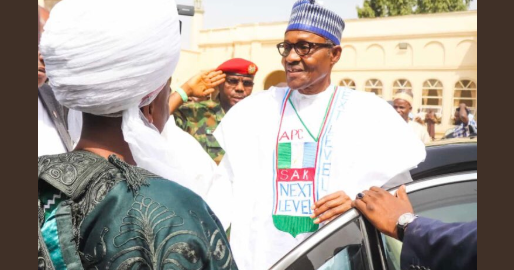 The News Agency of Nigeria reports that Buhari and his entourage landed at the Presidential Wing of the Murtala Mohammed Airport, Lagos, at 10.13am on Saturday amid tight security. 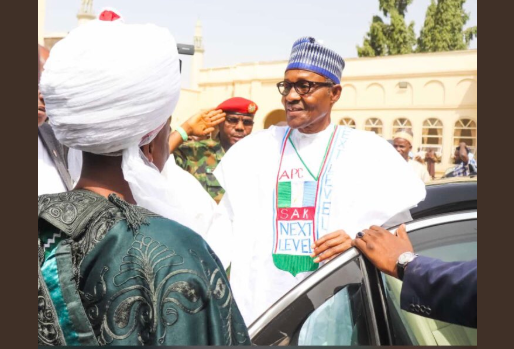 The President arrived aboard a Nigerian Air Force Boeing aircraft with registration number 5N-FGT to a rousing welcome by the All Progressives Congress chieftains and supporters. The APC presidential candidate left the MMA in a chopper with registration number NAF-540 at 10.30am for his engagements in the nation’s commercial capital. The President will thereafter proceed to the Teslim Balogun Stadium, Surulere, where he will address the people and solicit their votes.